In this paper we present a new kind of cryptanalytic attack which utilizes bugs in the hardware implementation of computer instructions. The best known example of such a bug is the Intel division bug, which resulted in slightly inaccurate results for extremely rare inputs. 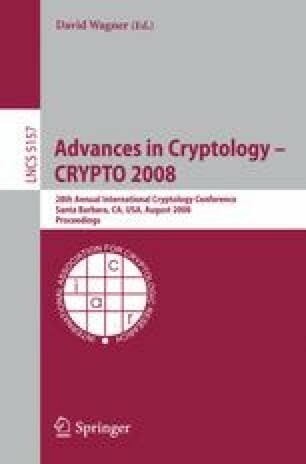 Whereas in most applications such bugs can be viewed as a minor nuisance, we show that in the case of RSA (even when protected by OAEP), Pohlig-Hellman, elliptic curve cryptography, and several other schemes, such bugs can be a security disaster: Decrypting ciphertexts on any computer which multiplies even one pair of numbers incorrectly can lead to full leakage of the secret key, sometimes with a single well-chosen ciphertext.